Tag Archive | "Rose Mist"
We sadly received the note below about last chance essential oils from our friends John and Candace Newman. 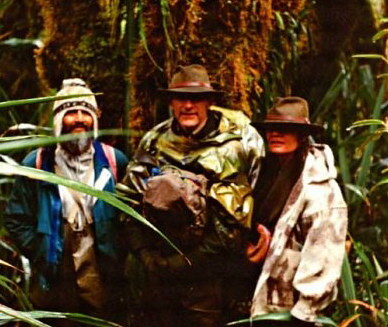 Candace spent many years traveling with us and the yatchaks in Ecuador. 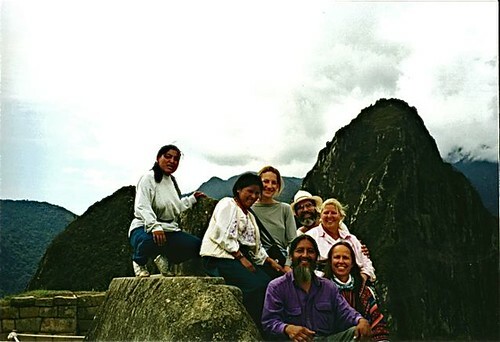 Here is Candace with the Taita Yatchak, our daughter Francesca and friends on a journey through Ecuador and Peru studying mystical sites. 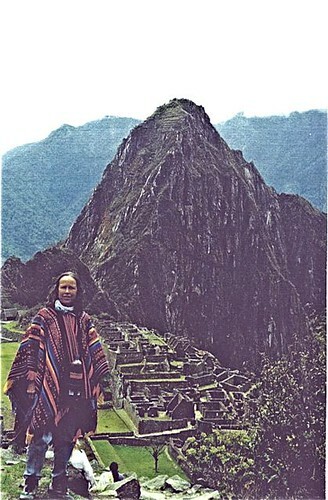 Here is Candace at our Andean hacienda Rosaspamba and its wonderful mystical views. 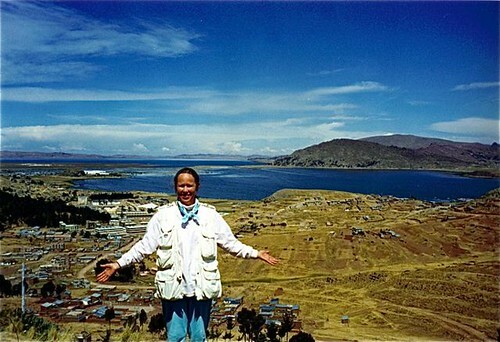 Candace with group at Lake Titicaca. Candace checking out herbs at the market. Candace on the trip to Machu Picchu. Merri and I always use Candace’s oils because she gained so much wisdom on these trips and through her lifetime global studies. 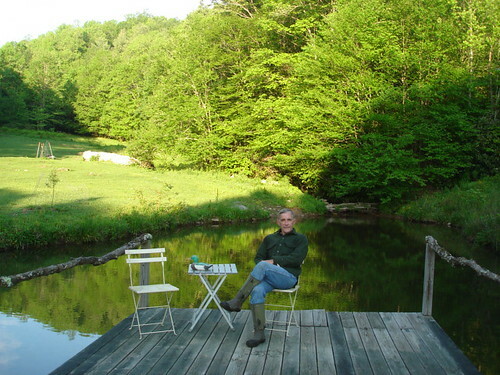 So we were saddened to read this note: Gary & Merri, our oil sales will close October 15, 2009. After 18 years, the decision to stop selling our Aromatherapy oil products has not been made lightly. After much evaluation & contemplation, we believe it is the right thing to do. On October 15th, the retail and wholesale shopping carts will close. Our oils & formulas are 10% off from now until October 15th … or until the supply runs out. We know many of you use our oils & formulas daily. This discount helps you stock up on the ones you love, and is our “early” Christmas and Holiday Sale we normally run in November. With proper care our products last well over a year. See August’s newsletter about proper care. I’m continuing my free monthly Newsletter to keep you informed of classes, education and company changes; the subscription to my Aromatherapy Guides for those who want continuing education; Consultations and Treatments; and more Classes. My Classes on DVD’s and The Good Medicine Tin® will continue to be available to purchase by fax, email or phone. John will continue to be our webmaster and will pursue some of his other special interests dear to his heart. Aromatherapy and essential oils are one of the many soulful elements that truly make a difference in people’s lives and health around the world. We appreciate you and are grateful for your continued support and loyalty over the past 20 years of my work with essential oils. I have personally loaded up with a year’s supply of Rose Otto, Lavender, Geranium, Lemon, and Orange the oils that I use the most. You can get more information on the oils they have left in inventory here. Candace also still has some essential oil mists that offer a gentle Aroma therapeutic wash that can have immediate and profound benefits, calming the mind, balancing the emotions, nurturing the skin, cleansing the body and surrounding environment. Merri and I especially use essential oil mists when we travel or are in public places. On the plane they freshen and purify the stale airline environment. We also use them to relieve the heat of the summer. Essential oil mists also make great stress-free gifts. They are always in our Christmas and birthday mix. Candace is offering a sample of four 1 oz essential oil mist blends each in amber plastic bottle with zipper carrying case with the discount. An Essential Oil Mist Chart is included free. The Lavender Mist contains aloe vera, pure water, vegetable glycerin and pure Lavender essential oil. This mist cleanses and hydrates the face, calms the mind and body tissue, balances the emotions. It is excellent for sunburn, itching or rashes. Lavender-Peppermint Mist contains aloe vera, pure water, vegetable glycerin, Lavender and Peppermint pure essential oils. This mist is uplifting and refreshing. It comforts and soothes the emotions and provides a feeling of “menthol lift” lightness. Keep one in refrigerator for a cool refreshing mist. Use whenever feeling sluggish, anxious, or out of balance. Lavender-Rose Mist contains Aloe vera, pure water, vegetable glycerin and Lavender and Rose Otto pure essential oils. Rejuvenation Mist contains Aloe vera, pure water, vegetable glycerin, Sandalwood, Patchouli, Frankincense, Geranium and Rose Otto pure essential oils. This mist cleanses and hydrates the face. We are thankful to Candace for her years of dedication and the wonderful oils she has provided over the years. 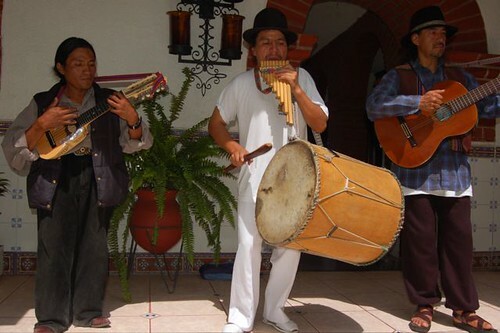 Delegates at our Ecuador seminars and tours enjoy Ecuador music. 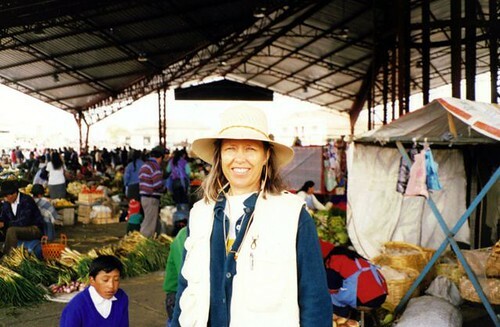 We take delegates on our Ecuador seminars to Otavalo markets. Many buy enough goods to resell in North America to pay for their entire trip. 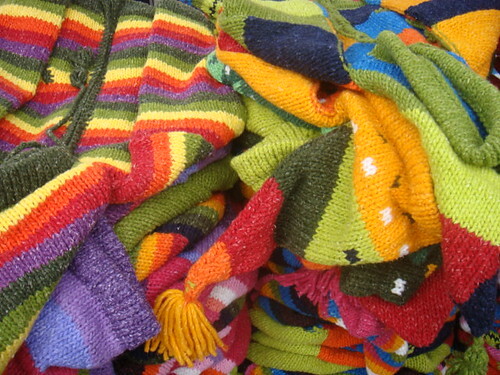 Ecuador textiles like these I photographed in Otavalo are popular. I know why I get a ‘warm and fuzzy’ feeling when I see your two names in the ‘From’ column of my emails! I sincerely hope that others are getting that same satisfaction. Thank you both again for the help and assistance in getting to Ecuador. This time of year is glorious in the Blue Ridge. Here is a shot of our front yard. Yet soon we head south traveling again to Ecuador. There is plenty of beauty in Ecuador too. I took this shot from near our hotel Meson de las Flores. 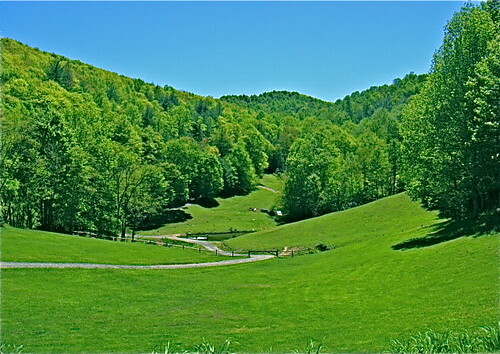 The difference is this green was in the middle of winter. 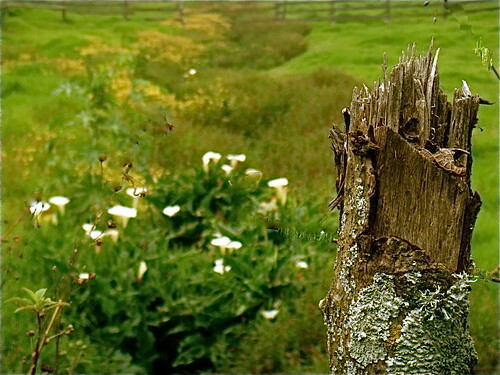 Cotacachi’s weather is eternal spring! 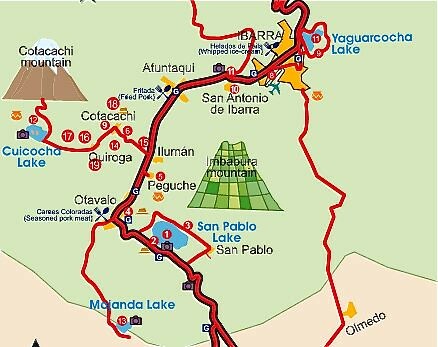 Ecuador travel is easy from the USA… less then four hours from Miami to Ecuador about five from Atlanta to Ecuador. However travel is travel and security procedures combined with airline cutbacks have added stress on travel to Ecuador or anywhere. So I thought the note below about Ecuador travel was worth sharing with all. Gary, I know you and Merri must be very healthy to do as much time on airlines as you both do, and many other attendant exposures! In all the years I have enjoyed your news letters, I have never heard of either of you being “down with the flu or cold”! Do you eat airlines food? or do you have any other tips for healthy eating on airlines? Any other health tips for airlines will be appreciated and put to good use! The reader is correct… Neither Merri or I are hardly ever ill. Neither of us has been to an MD (for sickness) in over 20 years. I cannot recall missing a day of work because we were ill. There are many things we do to maintain our energy and health. We try to spend our time and money on health preservation instead of medical insurance. There are links to numerous health tips below. Here let’s just look at some tips for health on planes. In May 1968, I boarded my first commercial flight Portland, Vancouver, Tokyo, Hong Kong on Canadian Pacific Airlines. Merri (I did not know her then) at about the same time was headed Atlanta – New York – Frankfurt on Lufthansa. Over the next 41 years, we’ve traveled to more than 70 countries researching business opportunities, exploring and enjoying new destinations. We have lived and worked on every continent. Many of you like ourselves are on the run, traveling thousands of miles and crossing dozens of time zones the year through. We have to perform well on these trips even as we put enormous stress on our bodies. Here are a few tricks we have learned over the millions of miles we have flown. I hope they help you in your travel to Ecuador… or wherever. First, avoid peanuts and other hard to digest foods on airplanes. In fact it’s better to avoid salted peanuts completely. Our friend, the Taita Yatchak, who lived with us at our hacienda in Ecuador was amazed to see us eat roasted peanuts. “High in Uric Acid”, he said. Our Indian (from India) friends who are experts in Ayurveda (the 5000 year old Science of Life) have also warned us away from peanuts as being very hard to digest. They are known as tomasic (meaning those things that destroy rather than build). Then imagine getting on a plane and crossing the ocean and a half dozen time zones which will throw off our digestion in itself. This is a dry dehydrating environment hard on the kidneys. These factors alone are hard enough. To throw in a hard to digest food high in uric acid is like the kiss of death. Second, avoid alcohol on airplanes. Dehydrating as well, hard on kidneys,and liver. Mixed with roasted peanuts! Ahhhhhh! Third, sleep when traveling towards the sun. Travel through time zones throw off our Circadian rhythm. We find that it helps to stay awake when traveling away from the sun. We fly to Europe or South America numerous times every year when I speak at seminars there and to visit our children. Often I have to get up the day after I arrive and conduct seminars… sometimes for eight hours. This requires a clear mind and energetic body. So we need to be sure that the flight has not drained us. We have flown across the Atlantic with clients and observed as they tucked into cocktails (peanuts!) heavy dinner, desserts and after dinner liquors while we are settling down to sleep through the flight. We awaken, have only a little breakfast on the plane, and meet the European morning refreshed and ready to have a full day (but we go to bed early the first night). Those clients are dragging and beat. “Where on earth do you get your energy?” they ask. Buy some Valerian tea at the health food store, ask for hot water and make your own tea. It tastes like what I imagine dirty gym socks would taste, but is a natural way to get to sleep. We also use melatonin to restore the natural melatonin that is lost on endless time zones. Just buy a bottle of liquid from the health food store and take 20 minutes before sleep. I also bring along my Bose noise suppressing headphones and some baroque music. Before I leave on a journey, I massage my feet with an essential oil blend. When essential oils are applied to our feet, they stimulate zones on our feet that “mirror” the entire body. Stimulating these reflexes sends messages to the associated body parts that help reduce tension, improve circulation and help the body deliver oxygen and nutrients to the cells… important benefits on a flight. I use my Essential Oil Blend Chart, created by Candace Newman and massage the oil blend in my hair, put it in my ears up my nose, on my face and on my collar and shirt cuffs. The oil fights virus and bacteria plus helps balance the flighty feeling on a flight. Here is Candace’s Essential Oil Blend Chart. We also avoid airplane water (except bottled). We add a drop of Rose Otto essential oil. This makes a tasty rose water that aids digestion and the time transition. Rose Otto is bright, alive, richly floral and complex and is more potent than the Absolute and Concrete so smaller amounts of Rose Otto are required. We also spray ourselves (head and face and air above us) with lavender essential oil lavender misted with distilled water to combat dehydration and to refresh, cleanse and purify. In Aromatherapy, mists and hydrosols are generally used to calm our emotions, lift our spirit, cleanse the air, and soothe the skin. You can make your own mist with Lavender oil. Candace Newman has a four mist sampler pack that contains all four of mists. Candace offers a sample of four 1 oz essential oil mist blends each in amber plastic bottle with zipper carrying case and includes an Essential Oil Mist Chart is included free. Learn more or order here. Next we travel first or business class using our frequent flyer miles to upgrade ourselves. There is more privacy and room in this class and because we book as early as possible, we almost always are upgraded. We do yoga (or stretching) before we get on and off… plus stretch during the flight. This helps keep spinal fluids moving. The spine is often perceived as just a stack of bones in reality it is our gateway of energy and it shifts with every thought we have about life. It is a precise mirror of who we are. With every stress we have, the interrelationships of bones, muscles, ligaments, and nerves are altered in and through the spine. These deviations are minute, often imperceptible, but no matter how small, the changes in the spine have gigantic effects on the body. On long flights we also wear an ionizer around our necks. This purifies the air and creates negative ions that makes us feel fresher and cleaner. This is a shot of my well used travel ionizer. Mine is old and about the size of a pack of cigarettes. New ones are in the market for $119. They offer a Corona Discharge Air Purification technology to create fresh air while purifying the air with a stream of charged electrons (Ions) . This Ionizer is worn around the neck so a continuous stream of ions flows toward the face. A round magnet rests on the back of the neck to reinforce your body’s magnetic field (which is off balance in high altitudes). 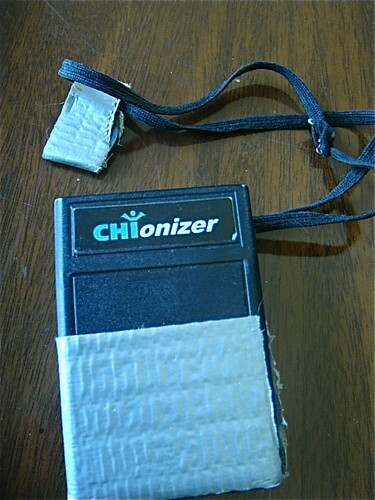 Google the word Chionizer and you’ll see a number of sites offering this product. We also try to arrive and leave via a small airport. When we are in North Carolina we fly Delta’s commuter partner in Tri-Cities Tennessee to Atlanta or Cincinnati. Big airports like Miami or Atlanta create a lot of stress… crowds, noise, rudeness and pollution. This is not a good way to start or end a flight. By starting at a small airport, there’s not much stress, people remember us and it goes smooth and easy. Finally we meditate when we get on the plane, often during the flight and before we disembark. We do our best to eat little or nothing and avoid hard to digest foods on these long hauls…just some pure water, fresh fruit…. sometimes a boiled egg… a few seeds and nuts are very satisfying. Rest and avoid stress as much as you can on the journey. Every generation has had its health cross to bear. Neanderthal Man faced the Saber Tooth Tiger. Medieval Europe had plagues. Today we face fast food, stress and long flights! It is a miracle, privilege and responsibility that we have the freedom to travel almost anywhere on this good earth we choose. This gives us the ability to broaden our horizons and contribute more to the world. These few simple tips can reduce the negative elements of the great joy of air travel. Join us at an upcoming Ecuador or North Carolina conference or tour. 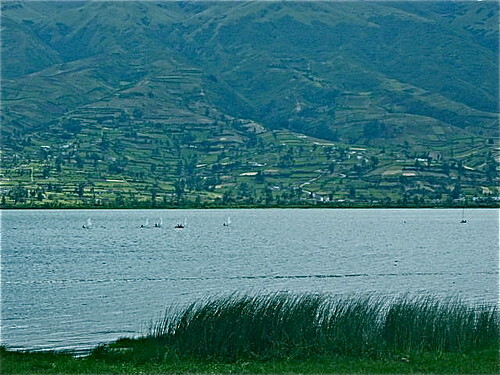 On our upcoming Imbabura real estate tours we’ll look at real estate on all three of the big lakes near Cotacachi. Here is a map of the area. 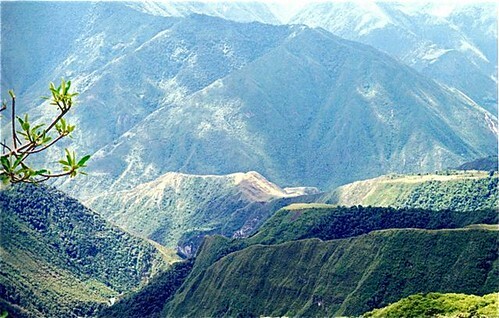 We’ll visit the sacred Quicocha lake for a shamanic study and perhaps a ceremony. View from San Pablo Lake property for sale. The lake is a historical site also known as Blood Lake because of a 13 year battle between the locals and Incas. Essential oil mists can benefit our health in many ways. “Evening mists rose like white smoke from the dense jungle in tiny cyclones of purity that masked the deep green below. Dusk’s shadows played purple harmonies on sharp angles in a distant mountain ridge while bird songs carried cosmic visions of nature’s perfect order in their tunes. A sun warmed breeze rose from the valley with pungent tales of life and death and the mystic reality of life’s richness in the setting sun. Merri and I love mists and years ago we lived for nearly a year with an Andean shaman high in the mountains at our Hacienda Rosaspamba. 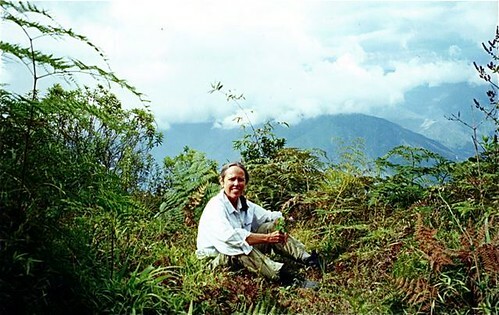 Here we are with the shaman hiking trough a cloud forest into a misty valley with this healer. This shaman used mists to rejuvenate. He said that the positive ions in the mists cleaned from the outside in. One reason we love North Carolina are the morning mists that even on really hot days, keep the dawns cool enough to wear a heavy shirt before the sun gets up high. Here I am on a July morning. We love Ecuador’s cool misty mornings as well. 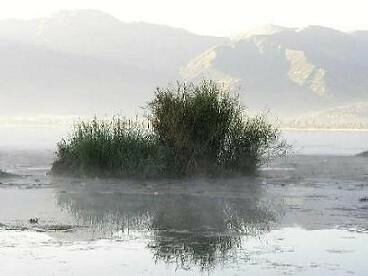 Here is a typical scene at dawn on a lake San Pablo near our hotel in Cotacachi. Essential oil mists are powerful too. They are balancers that help eliminate dis-ease. This message looks at the easiest way to get the benefits of Aromatherapy instantaneously, through essential oil mists and an excellent new self help health tool. Mists offer a gentle Aroma therapeutic wash that can have immediate and profound benefits, calming the mind, balancing the emotions, nurturing the skin, cleansing the body and surrounding environment. Merri and I especially use essential oil mists when we travel. On the plane they freshen and purify the stale airline environment. We also use them to relieve the heat of the summer. Essential oil mists also make great stress-free gifts. Different essential oil mist blends help mist away different types of imbalances and now there is a new self help tool to make this even more effective, an Essential Oil Mist Chart that our friends, Candace Newman and her husband John, recently created. I am excited about this because I use my Essential Oil Blend Chart, that Candace created years ago, as a self help took continually. This Essential Oil Blend Chart shows her various essential oil blends and what they balance. Right now, I am wearing essential oil blend #7 because it soothes and balances. When I am busy and working on tight schedules, I find that this blend helps me remain calm. For example, earlier this week I was working up in our hay loft stacking bales of hay for our horse’s winter feed. The dust left me hacking and coughing. The minute I was back at the house, I pulled out my Essential Oil Chart which showed that Candace’s blend #5 is composed of eucalyptus, peppermint, pine, cypress and lemon oils. This is good for easing respiration, colds and flu. It opens and clears, moves the rivers (Chinese) reduces Kapha (Auyerved) and stimulates the throat chakra. I used that blend, then took a steam bath with some more of that oil mixed in the steam. So I am happy to share this new Essential Oil Blend Chart here. Now you can have the new Essential Oil Mist Chart as well. Plus during August, Candace is offering a sample of four 1 oz essential oil mist blends each in amber plastic bottle with zipper carrying case at a 10% discounted price of only $31.45. The Essential Oil Mist Chart is included free. Until next message, may all your mists be pure!